Are your feet in serious need of a DIY pedicure? 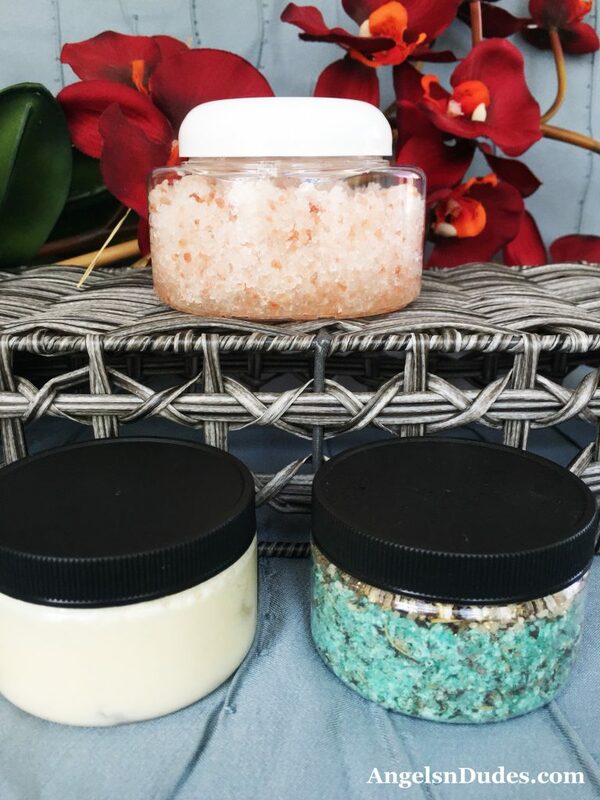 These DIY foot scrub, foot soak, and foot cream recipes will leave your feet soft, smooth, and beautiful! Spring has sprung, so it’s a great time to show your feet some love. While we’re partly rejoicing that we can finally break out those cute sandals, the reality is we’ve been neglecting our feet. And they’re totally not sandal ready. Cold weather plus the dry winter air can take a toll on your feet. For several months they’ve been hidden in socks, boots, and fuzzy slippers. Your feet are probably looking forward to spring as much as you are. Keeping them exfoliated and moisturized will not only have them looking their best, but feeling great. These all-natural recipes can be whipped up at home, and are a great way to get your tootsies ready for their spring debut. Throw a pedicure party, invite a few friends, and join in the fun! Begin by exfoliating your feet, using either an exfoliating tool, a scrub, or both. For the feet, it’s a good idea to use a foot scrub with a little more skin-polishing and abrasive power. 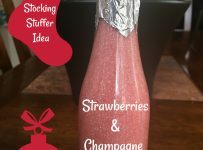 DIY foot scrubs are a great way to show your feet extra love and care, and who doesn’t want that? They’re simple and easy to make, and you get the royal treatment right at home. 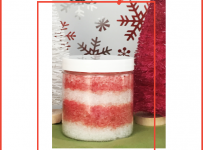 Try adding some intensive exfoliating ingredients such as mineral-rich salts (Himalayan pink salt, Dead Sea salt, European spa salt, and Epsom salt) to your DIY foot scrub and pair them with some moisturizing oils (coconut and jojoba oils). 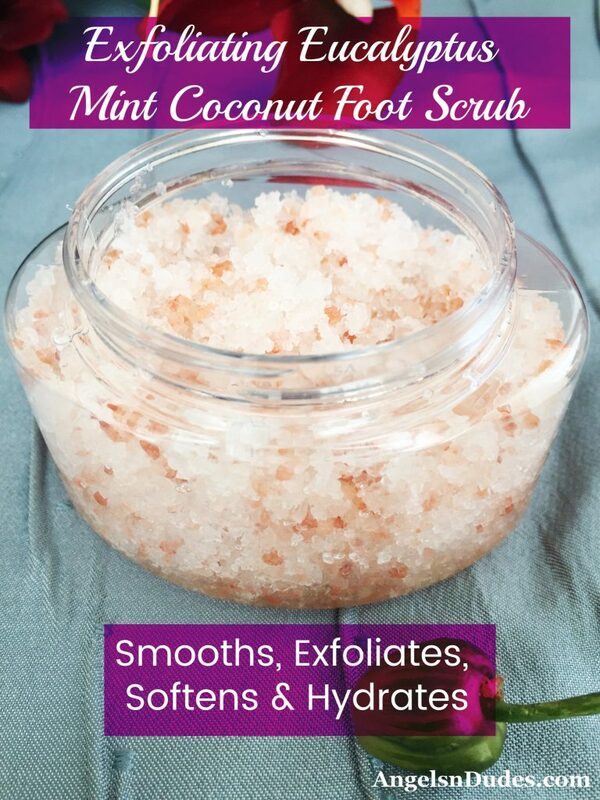 The following foot scrub recipe is great for pedicures. 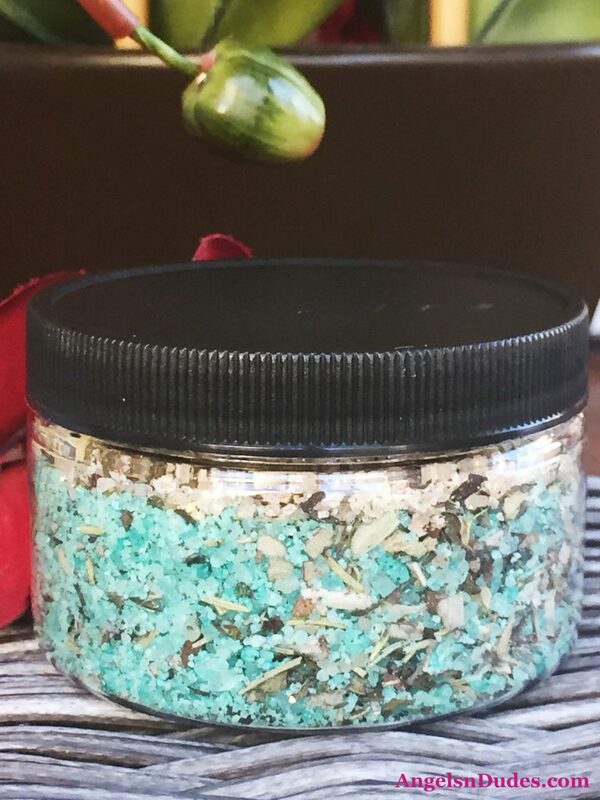 Exfoliating salts sweep away dead skin cells, coconut oil softens cracks and locks in moisture, and the soothing blend of essential oils has a cooling effect. 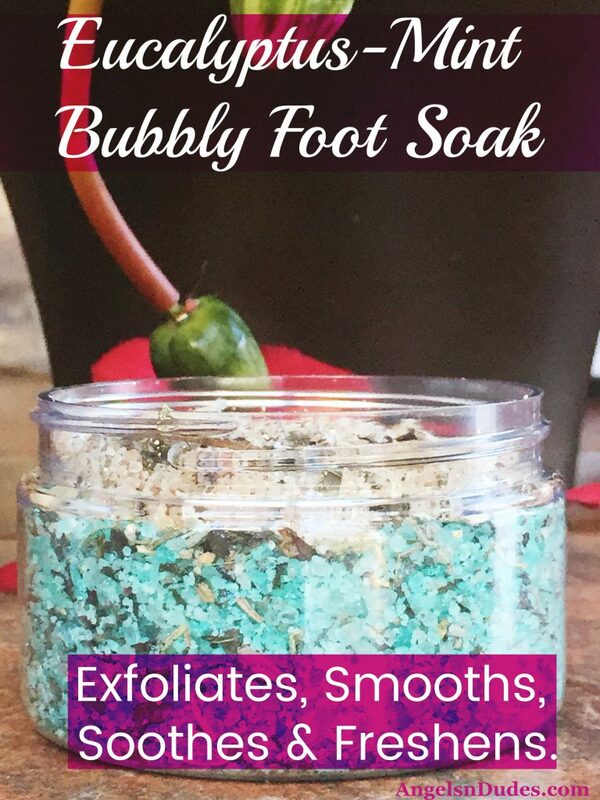 This DIY foot scrub smooths, exfoliates, softens, and hydrates your feet, leaving behind a baby-smooth feel and a subtle, invigorating scent. 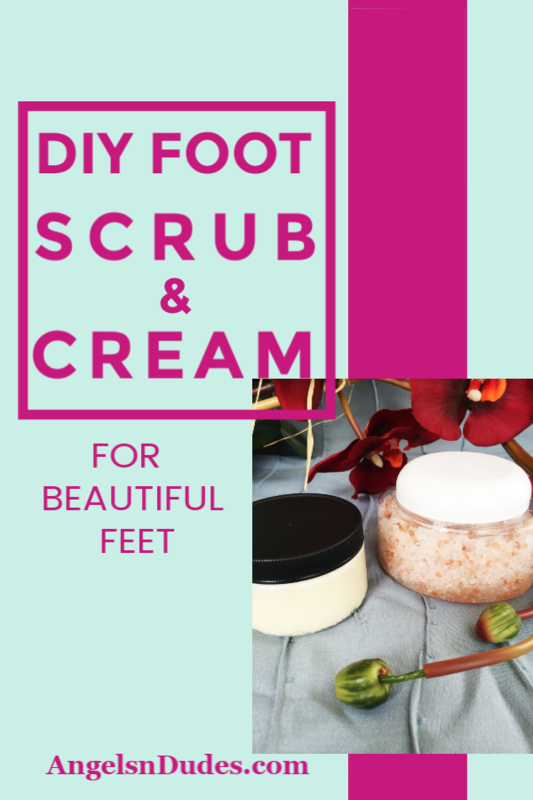 Watch this short video, then make your own DIY foot scrub and cream for beautiful feet! 1. To a microwave-safe bowl, add coconut oil and jojoba oil and heat in microwave for approximately 15 seconds or until completely melted. 2. 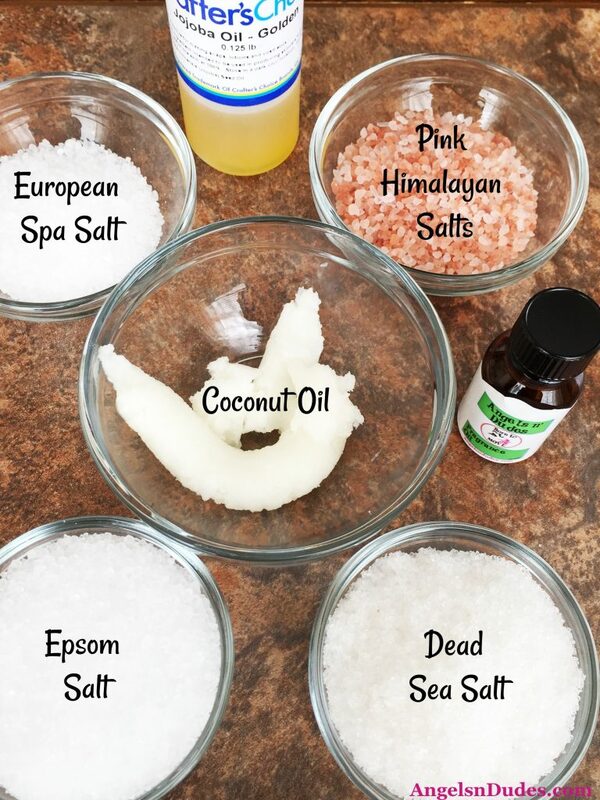 Add Epsom salt, Dead Sea salt, European spa salt, and pink Himalayan salt to the melted coconut/jojoba oil mixture. Blend the entire mixture with a wire whisk to completely incorporate all the ingredients. 3. 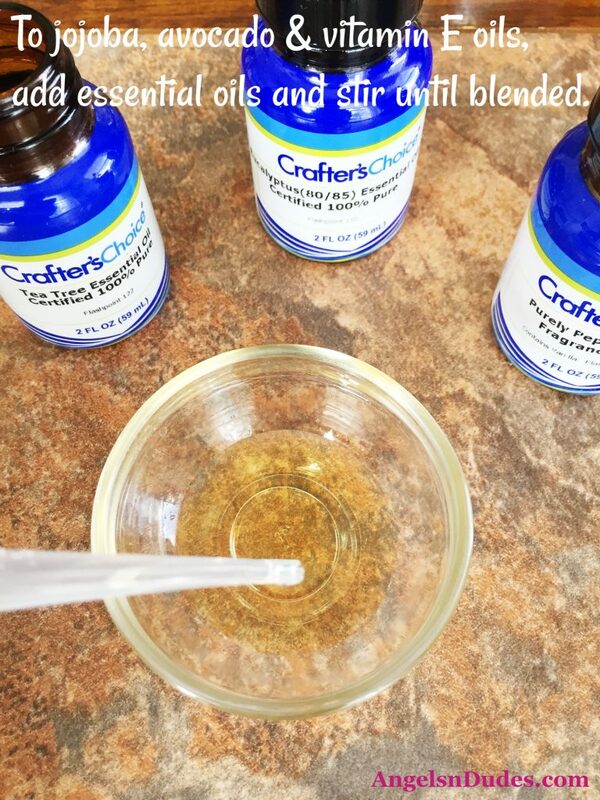 Sprinkle fragrance oil around the DIY foot scrub mixture. Do not add it to just one spot. Mix well with a wire whisk until it is all blended in. 4. 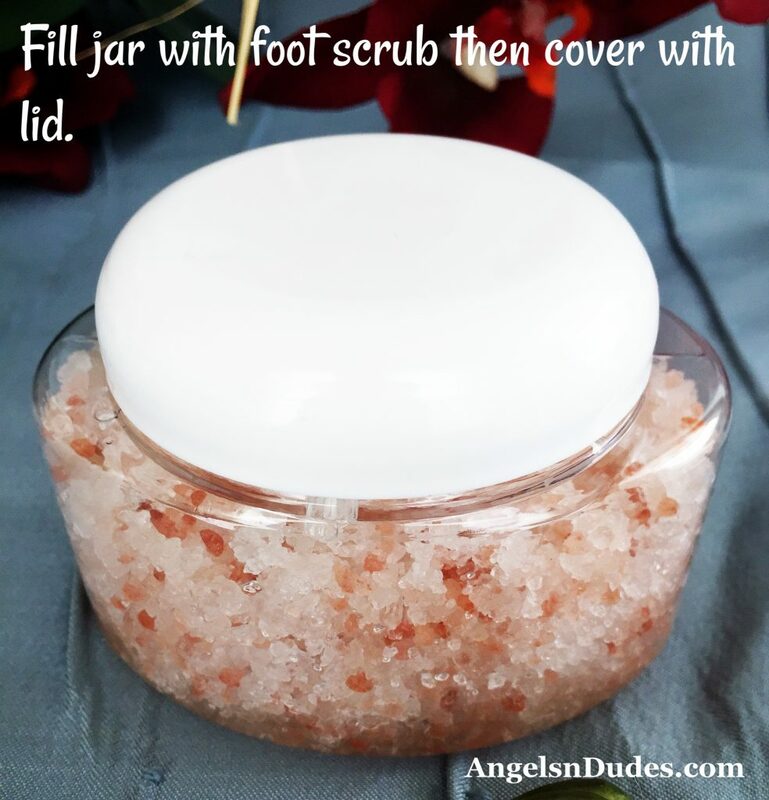 Fill the jar with the DIY foot scrub, pressing the layer of salts. Then cover with a tight-fitting lid. 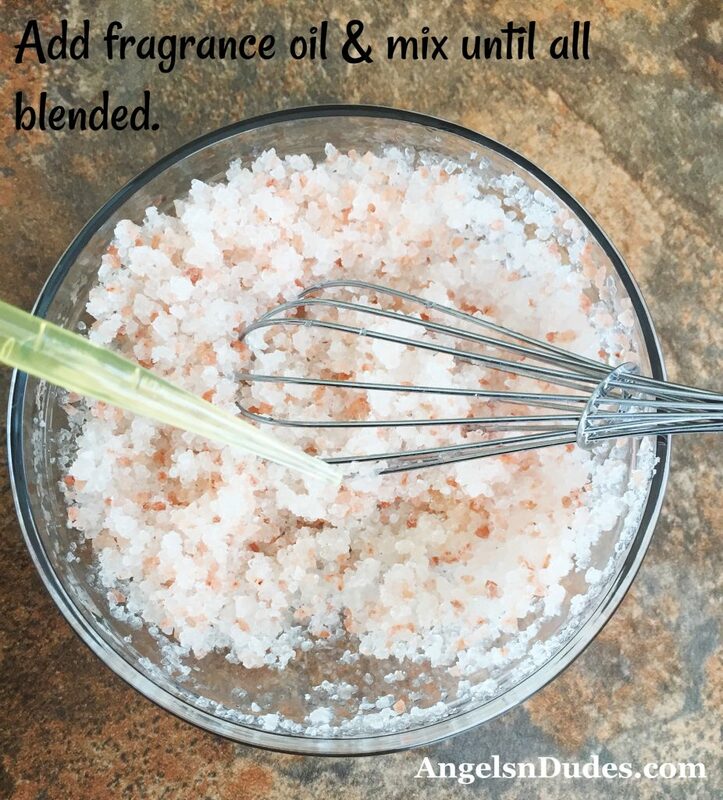 Use this DIY foot scrub in a bath or shower. Massage a small amount of scrub onto your foot and heel area in circular motions. Rinse off with warm water, pat dry, and notice how soft, smooth, and beautifully moisturized your feet feel. Note: This DIY foot scrub contains oil. Take care as you use in the shower as the oil can be slippery. After priming your feet by gently scrubbing away those rough areas, the next step is to soak your feet in a bubbly and rejuvenating foot soak which contains Epsom salt, Dead Sea salt, pink Himalayan salt, baking soda, and citric acid. DIY foot soaks soothe tired feet, eliminate foot odor, and get rid of dead skin and cracked heels. They’re also really simple to make. 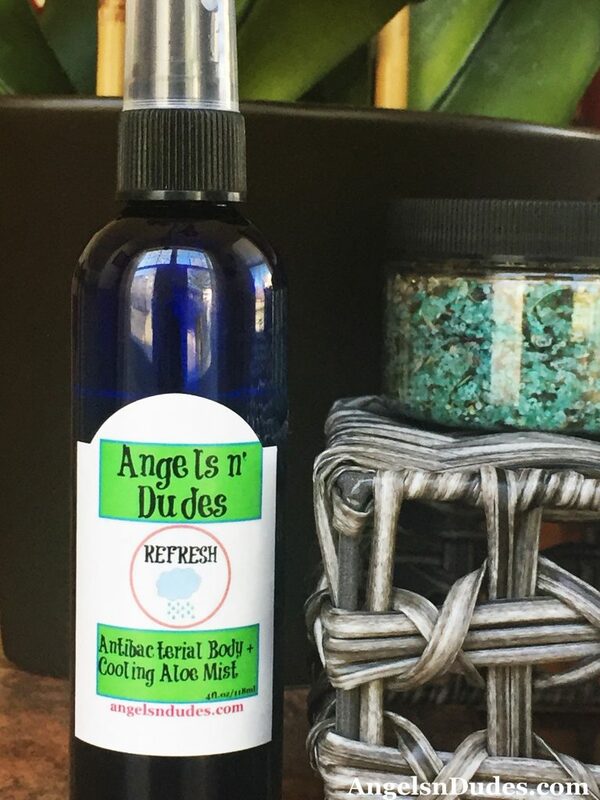 This blend of essential oils has antiseptic, antifungal, and antimicrobial properties that kill odor-causing bacteria and fungi on your feet. The salts absorb the excess moisture in your feet, hydrate skin, and improve skin quality. Baking soda exfoliates, neutralizes the foul odors, and has antibacterial properties. The bath tea blend has antibacterial, antifungal, and antioxidant properties plus it reduces foot sweat and stink. 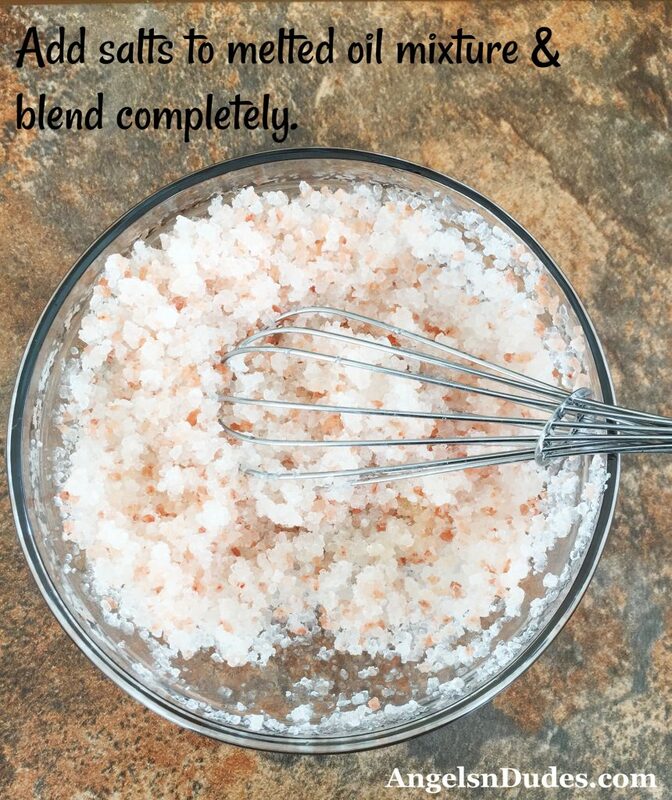 To a mixing bowl, add Epsom salt, Dead Sea salt and pink Himalayan salt. Add baking soda and citric acid and mix well. Next, add fragrance oil and bath tea leaves and blend thoroughly. Separate the mixture into 2 bowls. Add sparkling gold mica powder to the first bowl and emerald green mica powder to the second bowl. Mix well to incorporate colors. Fill your container then cover with a tight-fitting lid. Add 1-2 scoops to foot bath with warm water. Soak the feet for at least 10-20 minutes to allow the ingredients to work their magic. Rinse and towel dry. 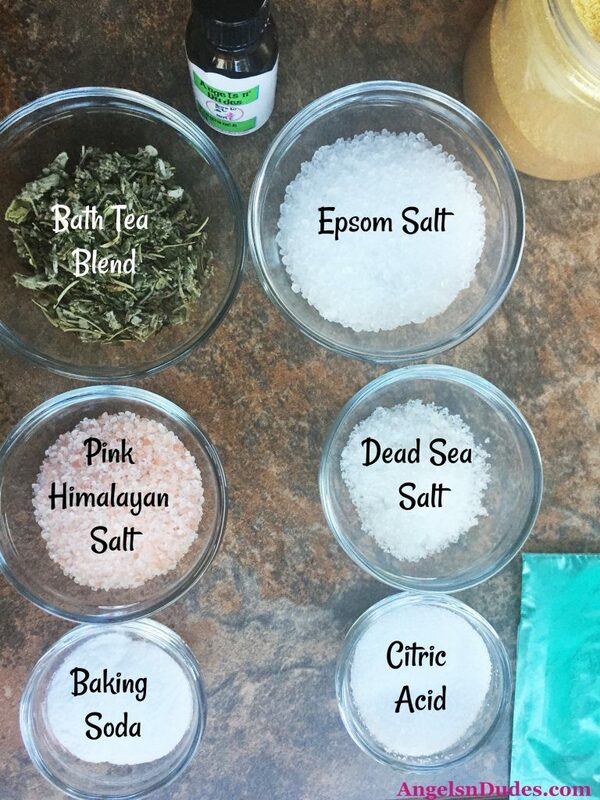 If you want to use this foot soak as a bath soak, add 1/4 cup to warm running water and soak as desired. 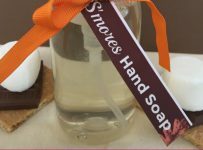 You can multiply the benefits of this foot soak by pairing it with an antibacterial spray that’s a potent and effective natural remedy for foot odor. After the exfoliation and soaking are done, treat your feet to some much needed moisture. Any intensive body cream will work well, but using a cream designed especially for feet is preferred. 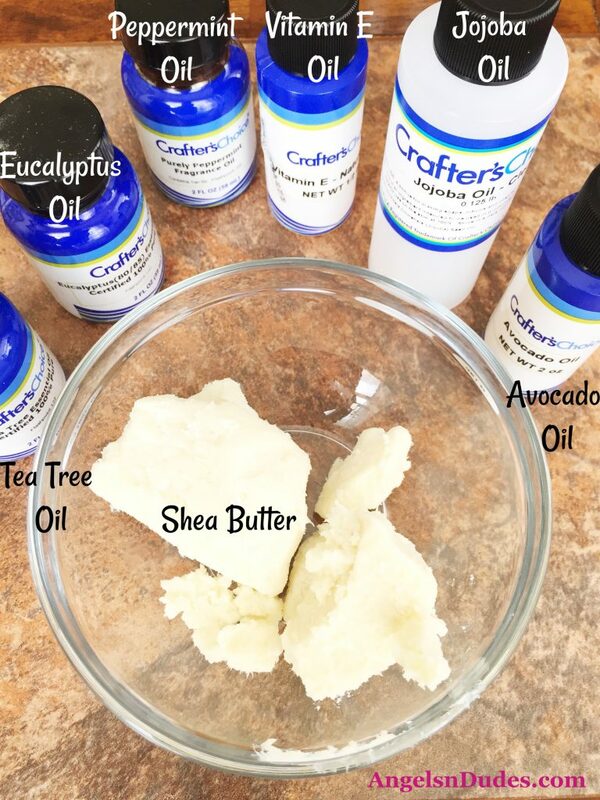 The following recipe contains tea tree, eucalyptus, and peppermint essential oils plus shea butter, avocado oil, jojoba oil, and vitamin E oil that can help to keep the feet healthy, happy, and moisturized. Thick and rich, this cooling DIY foot cream is pure heaven for your feet. Shea butter, avocado oil, and jojoba oil intensely moisturize, smooth, and soften your feet while essential oils cool, deodorize, and naturally kill bacteria to prevent odors. It feels incredible going on, smells amazing, and will get even the roughest, driest skin right into shape. 1. 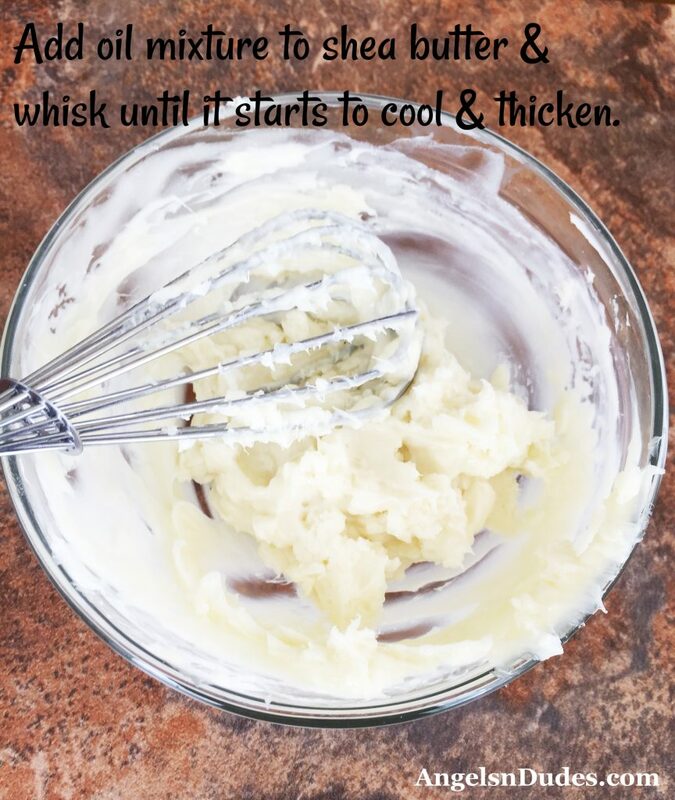 Place shea butter in a large glass bowl and heat in microwave in short spurts until the butter is soft. Do not overheat! 2. In another glass bowl, add avocado, jojoba, and vitamin E oils. Gently mix together. 3. Next, add the essential oils and stir until blended. 4. Add the oil mixture to the shea butter. Using a whisk or stand mixer, whip the ingredients together until the mixture starts to cool and thicken and the product is creamy. Let the cream sit and cool completely. 5. 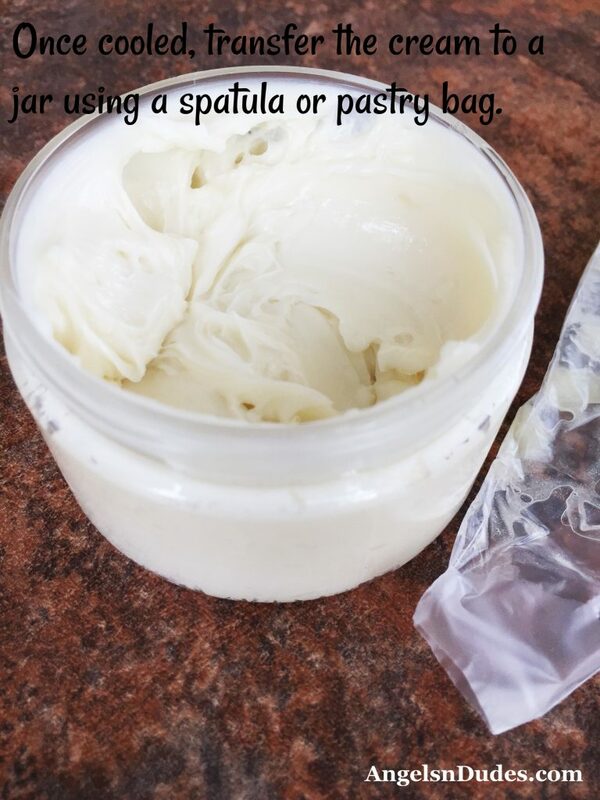 Once cooled to room temperature, transfer the cream to a jar using either a spatula or a pastry or zip-lock bag. If using a pastry bag, cut a small hole in one corner of the bag and pipe the mixture into the jar. Allow the mixture to cool and set for several hours before use. 6. 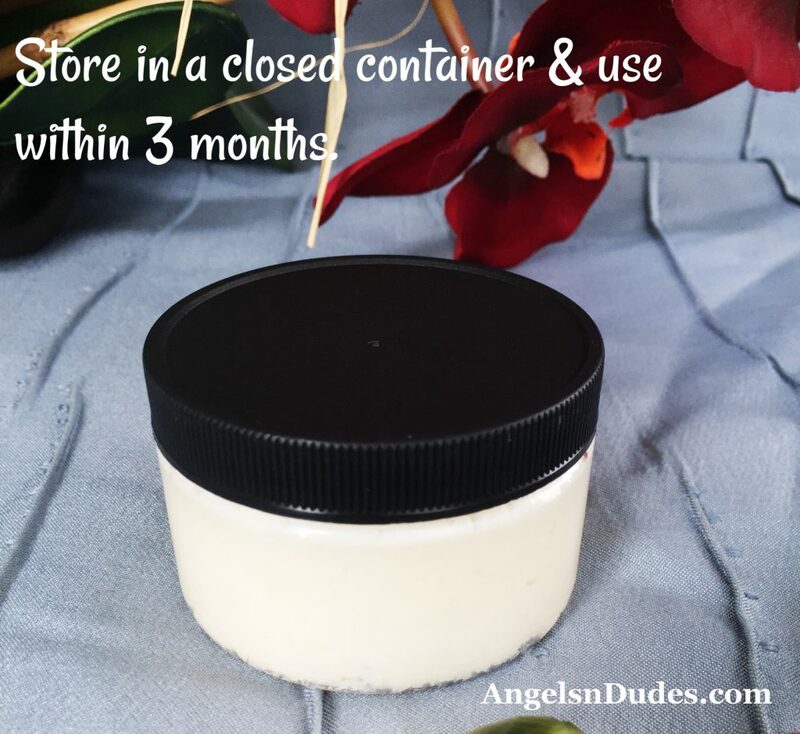 Store in a closed container and use within 3 months. This cooling foot cream can be stored at room temperature or in the fridge for extra cooling power. 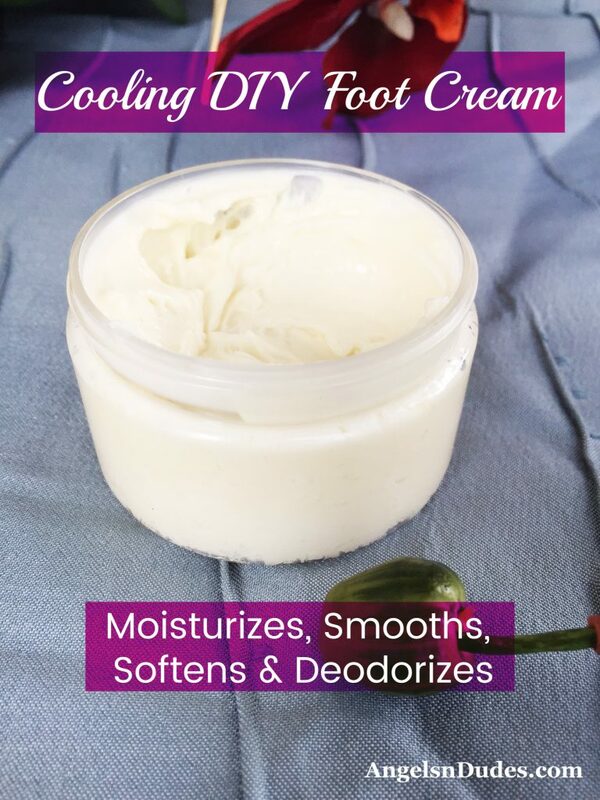 This cooling DIY foot cream is thick and creamy and will provide the intense moisture that your feet need. Apply a small amount to your feet and in between toes and massage into the skin on your legs. You can do this at any time, but especially before bed. For extra moisturizing, you can also apply a liberal layer, put clean cotton socks on, and leave on overnight. You will wake up with soft, fresh-smelling feet. The cooling oils in this DIY foot cream recipe will feel heavenly on your feet and legs. It will also work great for a DIY pedicure. I hope you try these DIY foot scrub, soak and cream recipes. Your feet will thank you after you pamper them with this special treatment! 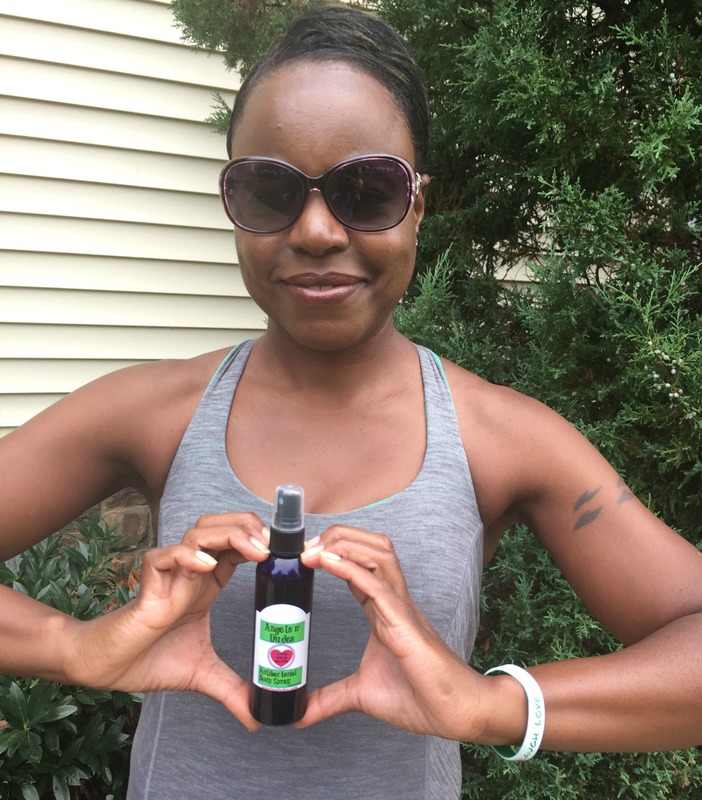 If you’re looking for more information to keep your feet smelling fresh, check out 7 Natural Ways to Get Rid of Smelly Feet and How to Cure Stinky Feet Naturally With This Antibacterial Spray. And for an easy way to pamper your feet, you should try one of our antibacterial body sprays. 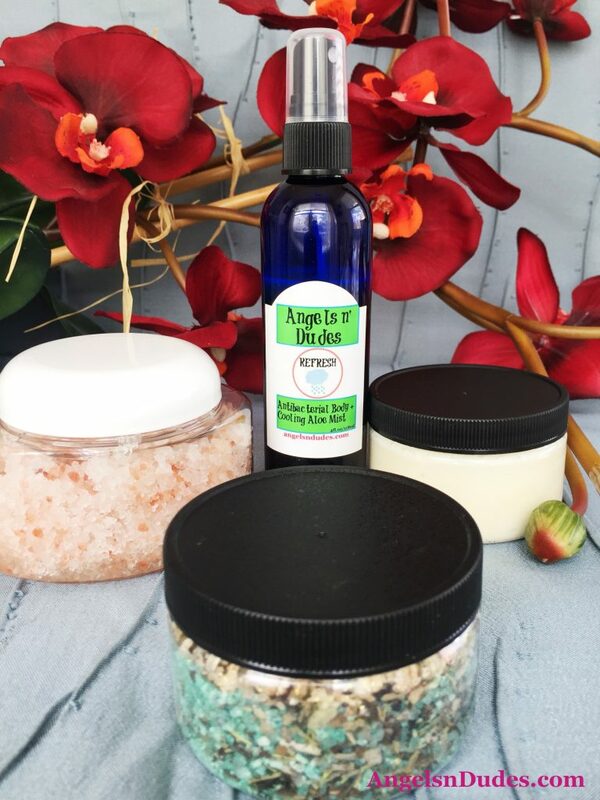 When paired with this foot scrub, foot soak and foot cream, these all-natural, non-toxic products will keep your feet and shoes smelling fresh and your feet feeling great all year-long. How often do you pamper your feet with a DIY pedicure?